Prosperity gospel preaching is sweeping Africa and Pentecostal congregations, but it is not Christian and it ignores the words of Jesus, a prominent Ugandan bishop declared at the Global Anglican Future Conference in Jerusalem last week. 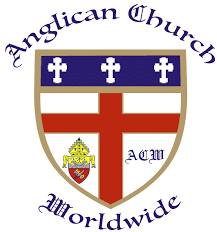 The massive gathering of conservative Anglicans, with nearly 2,000 delegates from 53 countries, featured a speech by Bishop Rt. Rev. Alfred Olwa, where he urged believers not to reject Jesus. "They ignore texts when Jesus talks about the poor and focus on those texts that proclaim wealth," he said of such preachers, without naming names. Nigerian Archbishop Nicholas Okoh shared similar observations, but explained that those who leave Anglicanism for the prosperity gospel return later after they find out it does not deliver what it promises. "Preaching must not be compromised, but is to be discharged faithfully in every generation, as Christ is the same yesterday, today and forever," Okoh urged.